Where: Civic Theatre Main Stage, 1020 N. Howard St.
You know the theme song. Milwaukee, Wis. The Cunninghams’ kitchen. Arnold’s drive-in. Fonzie. Ritchie. Potsie. Ralph. Joanie. Chachi. Mr. and Mrs. C.
The play, written by Garry Marshall with music and lyrics by Paul Williams, is adapted from the 1970s TV sitcom Marshall created. Civic is staging its regional debut, said Yvonne A.K. Johnson, who is directing. What makes “Happy Days” different is that its cast is drawn entirely from the teenagers enrolled in Civic’s audition-only Academy program. The idea, Johnson said, is to give the young actors a taste of the summer stock experience. They learned the play in three weeks, working eight-hour days, five days a week. “So when they are college students, when they audition for summer stock, like Coeur d’Alene Summer Theatre, they’re ready,” said Johnson, also Civic’s artistic director. 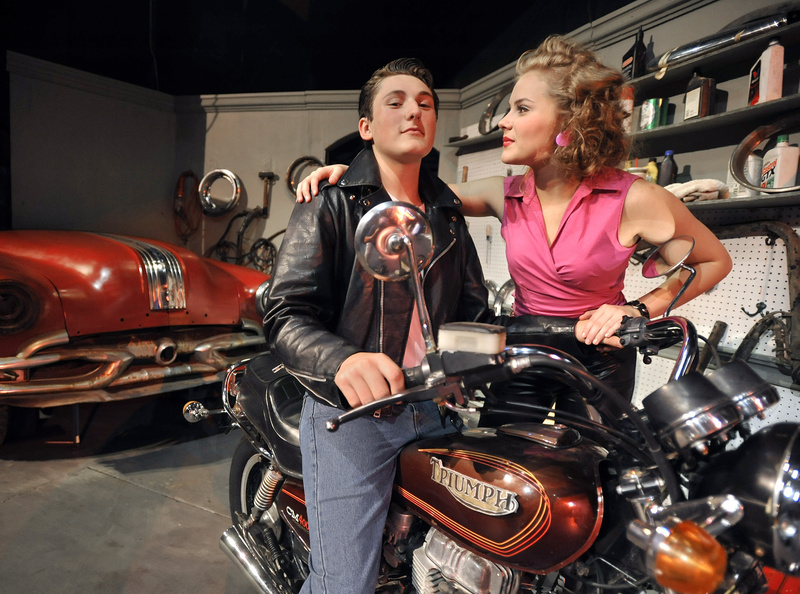 Being a musical comedy, “Happy Days” the play is different than “Happy Days” the sitcom. The plot centers around a plan to demolish the beloved Arnold’s and build a mall. The kids decide to get together to save the drive-in. Ritchie, Ralph, Potsie and Chachi, for instance, perform as a barbershop quartet called the Dialtones. “To be able to sing like that at their age, the ranges that they do, that will take people by surprise,” Johnson said. The romantic leads are The Fonz (Joshua Spencer) and Pinky Tuscadero (Morgan Keene). While the actors are all teenagers – the youngest is 13 – they’re getting to experience a professional-level theater. They’ll perform on a professionally designed Civic set. They’ll play alongside a six-piece professional orchestra. They’re working with two choreographers.